On 24th December, the branch exhibition bid working meeting of the Thirteenth National Exhibition of Fine Arts was hosted in Beijing. Ningbo has successfully won the bid to host the Exhibition of Comprehensive Material Paintings of The Thirteenth National Exhibition of Fine Arts. 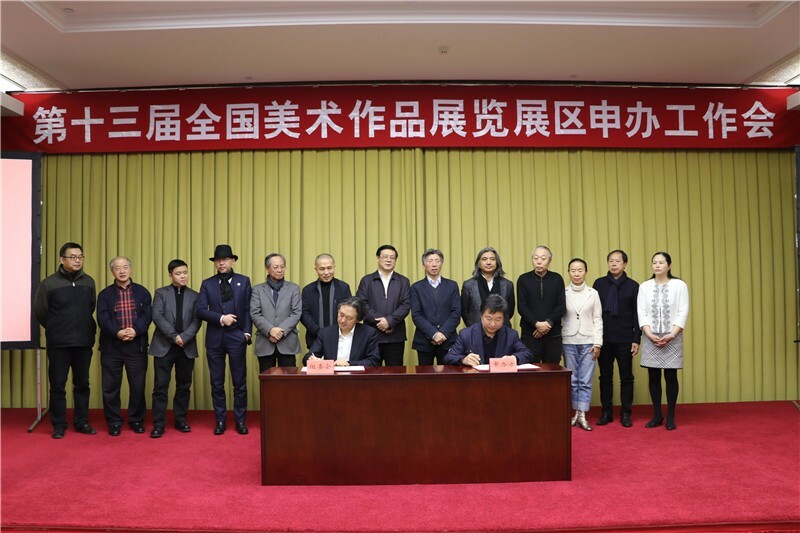 At the working meeting, Wang Xiaoyong, Party Secretary of Ningbo Federation of Literary and Art Circles, and Ma Fenghui, Secretary General of China Artists Association, signed the exhibition application agreement. The exhibition will be held at Ningbo Museum of Art in 2019. This is the first time for Ningbo to host the National Exhibition of Fine Arts.